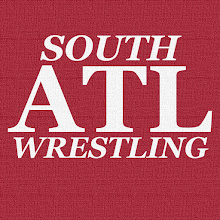 South Atlanta Wrestling: Who Should Hold The Universal Title Post-Mania 35? Who Should Hold The Universal Title Post-Mania 35? Way back in August I talked about BRAUN's path forward after the Shield feud started, and I had it ending with him becoming Universal Champion at WrestleMania 35 as his first major singles title victory. Obviously, everything changed with Roman Reigns having to vacate that title due to his returning leukemia. At that point, my take was that BRAUN needed to leave Crown Jewel as Universal Champion. Again, that wasn't in the cards unfortunately so I had to pivot to another plan. For me, BRAUN winning the title at Mania 35 was no longer something that mattered like it should, and we'd need a new man to take the strap off of Brock Lesnar. That man is...Seth Rollins. This isn't about Seth Rollins though, this is about the guy after him. I lay all this out because there was something I need to highlight here. All of these scenarios were going to end with one man holding the Universal Title ASAP post-Mania 35. That man is Drew McIntyre. No matter who held that Universal Title by the end of WrestleMania 35, I wanted Drew McIntyre to be the next champion. It didn't matter to me whether BRAUN won the belt at Crown Jewel or Mania, he was going to drop it to Drew Mc. If Seth Rollins goes from KingSlayer to BeastSlayer...he's dropping that title to Drew Mc. 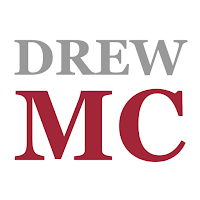 All roads lead to Drew in my mind, and I'm not alone there. For example, as a thought exercise, I asked who would replace BRAUN if he were out with an injury. I meant as top face, but didn't stipulate that so 99% of the responses I got were Drew. He's that guy right now, he's got the look, he's got the mic work, he's got the ring work, and most importantly he has the aura. He's your next franchise heel champion, and the sooner we get there the better.